The dearth of information in today’s mystery teaser announcement on the Beatles official page leads fans inevitably to snooping around the web trying to find something, anything, on what it might all be about. Truth be told, there’s not much around. Word has it that there’ll be more official news on Tuesday…. 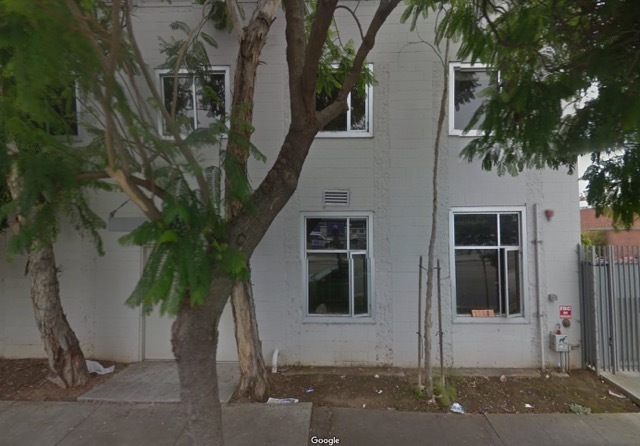 Does that look like the US headquarters of a multi-million dollar Beatle empire? No, we didn’t think so either. Check out that hand-written wooden sign propped on the right-hand-side windowsill, with the 1538 street number. The email image also credits a company called Topspin, and a service called The Topspin Platform. That’s an online, direct-to-fan sales and marketing tool used by a wide range of bands to promote their product, make online sales, sell tickets to gigs, etc. Check out the video on the page to find out more. They’ve done a lot of work with the Concord label in marketing Paul McCartney’s releases over many years, so it’s not that surprising that Universal and/or Apple and the Beatles have used the company to kick off this campaign. But Topspin isn’t at 1538 20th Street, Santa Monica either. Their address is 3120 W. Empire Ave., Burbank, California 91504 – in a much more salubrious part of that city. So what is going on? The mystery deepens….. 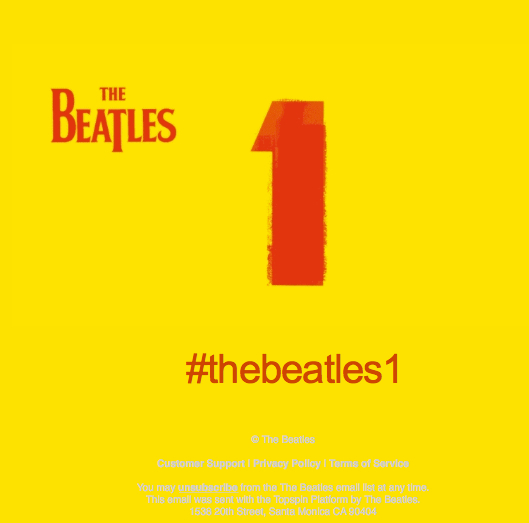 This entry was posted in Apple Records, Beatles, Beatles Collecting, Beatles Music and tagged Apple Records, Beatles, Beatles 1, Beatles Collecting, Beatles DVD, Paul McCartney, promo videos by beatlesblogger. Bookmark the permalink.